This article was first published on the now defunct LoveLula Blog. It has been re-published on Katie Vibes with their permission. It's June and that marks the beginning of the UK's (usually slightly average) summer. 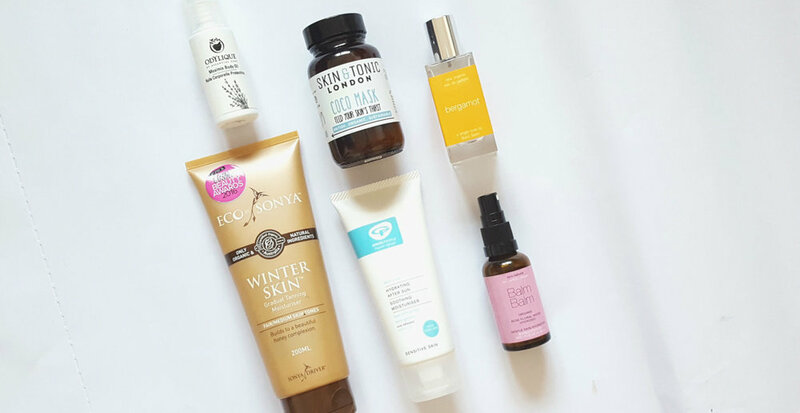 With that aside, I have some most definitely above average vegan-friendly products to share with you that are absolutely essential for any measure of warm or sunny weather. For once, I thought I'd stray from the usual suspects like SPF - you shouldn't need me to tell you that's essential. However, if it's tanning or soothing skincare, I have you covered! Fair girls like me sometimes need a little help during the summer months - you know, to avoid blinding people with our gleaming (and almost glowing) pale skin. For this I've been turning to the Eco by Sonya Winter Skin,* a natural and organic gradual tanning moisturiser. This Australian product leaves your skin with a lovely glow. Using this gradual moisturiser rather than a full-on fake tan helps to avoid stark contrasts and/or streaks. In spite of this, you'll still need to wash your hands thoroughly afterwards to avoid those tell-tale orange fingers! Alternatively, if you're going to go down the real sun route, you're going to need a decent after-sun. Enter the Green People Hydrating After Sun. This is my absolute favourite dedicated after-sun (rather than just aloe) and I'm completely addicted to the scent. It smells really fresh and minty which makes it nice and cooling for stressed and angry sun-kissed skin. I've gone through multiple bottles of this and it's a repurchase every summer! It also comes in a 100ml bottle making it super handy for your travels. For those sun-kissed faces, treat your complexion to a super soothing and hydrating mask in the form of the Skin & Tonic Coco Mask. This mask is one of my absolute favourites and it is a great all-rounder with clarifying ingredients such as kaolin clay as well as hydrating ones like coconut milk powder and aloe leaf powder. Its light coconut and lavender scent screams summer. Make sure to also treat your skin to regular sprays of a good soothing rosewater such as Balm Balm Rose Floral Water Hydrosol that also comes in travel size. Finally, be sure to keep the mozzies away with a good insect repelling product. I suggest Odylique Organic Mosimix* that doubles up as a super moisturising and quick absorbing body oil. Multi-tasking products such as this are an absolute must when it comes to packing light. And then, if citronella isn't your scent, cover it up with one of Balm Balm's single note perfumes. Bergamot* is a great option for summer but Balm Balm offer lots of alternatives such as Rose Geranium, Mandarin, or Ylang Ylang! What will you be relying on this summer?